The Susto Syndrome is a so-called culture-bound syndrome that is predominantly found among South American cultures. Although known in different places by different names, the basic Susto Syndrome consists of a fairly standard set of symptoms that includes disturbed sleep, listlessness, loss of appetite, apathy, fatigue, depression and asociality. It is thought that the Susto Syndrome is a culturally-defined escape from the perceived pressures and tensions of life, a temporary collapse of the psychic organisation of the individual and consequently of his ability to deal normally with his live problems. 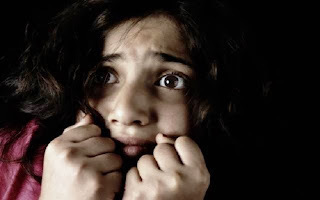 Because ‘susto’ means ‘fright’, the Susto Syndrome may be a culturally dependent variation of the symptoms of panic attack, distinct from anxiety and depressive disorders. Depending on the background of the patient, the Susto Syndrome is sometimes conceptualized as a case of spirit attack.